Tonight I spent some time on the ailerons and flaps. Since I went with the quick build wings the aileron and flaps were all complete except a few things here and there. 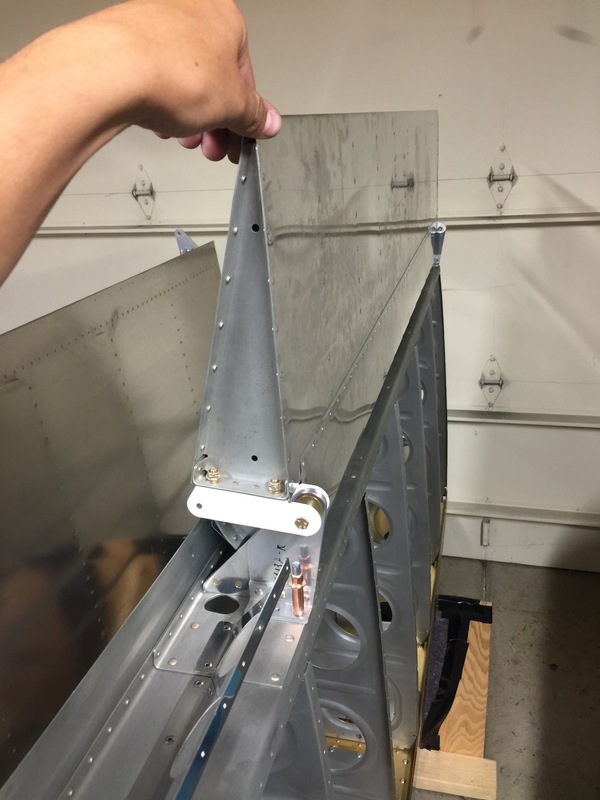 I started out by attaching the flap braces to the wings, I match drilled and deburred the edges and holes then blind riveted them to the rear spars. These will get riveted to the bottom skin wth the flap hinge. Another difference between the slow build and quick build wings is that the flap brace gets blind rivets instead of solid rivets ( it’s hard to get a bucking bar inside a closed up wing). 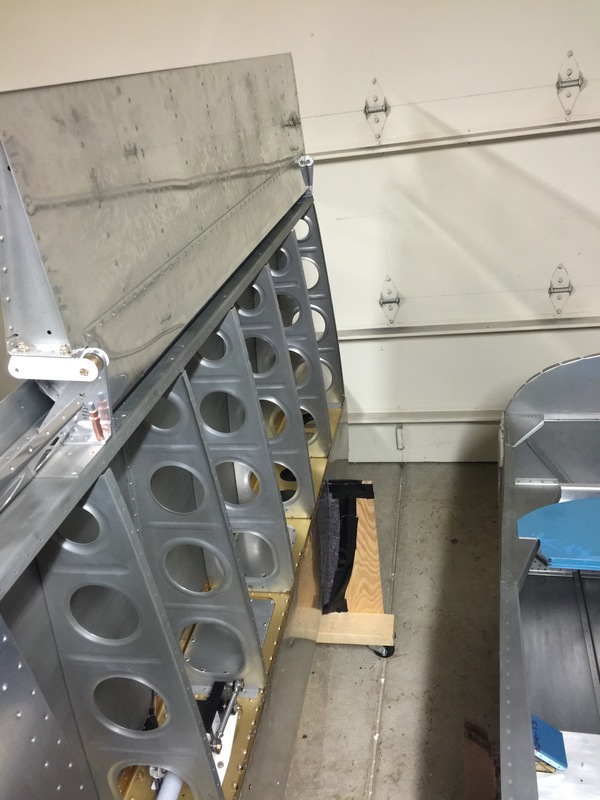 Next I got out the aileron attachment subkit and prepped and bolted the aileron attachment brackets to the aileron. I couldn’t help myself but to attach it to the wing. 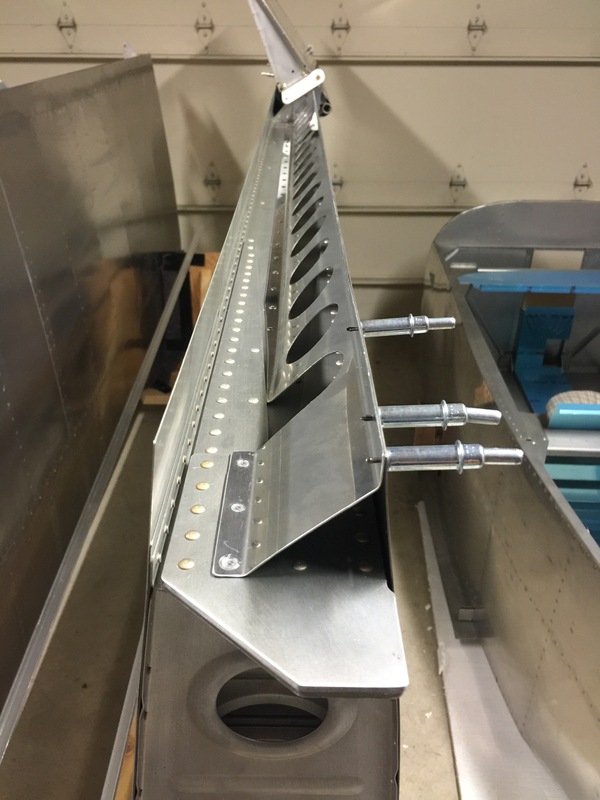 It’s cool to see some more control surfaces going onto the plane. I haven’t torqued anything fully because I will remove this several times during the fitting and alignment. The aileron adds a nice amount of wing area, once I get some free time I’m going to pull out my old Aerospace Engineering books and see what kind of wing this is from a mathematical stand point. Very exciting to get more pieces together!